Remember when I had a yummy Tropical Traditions coconut oil review and giveaway? Well I got to try another Tropical Traditions product: Organic Coconut Peanut Butter! Oh so yummy! The Coconut Peanut Butter is just 2 ingredients blended together - organic Valencia peanuts and organic unsweetened coconut. It doesn't get more simple and natural than that! The combination is great! Both hubs and I enjoyed the flavor and honestly, we mostly ate it by digging it out of the jar with pretzels as a snack - LOL! I did want to try a recipe with it though and I'm glad I did. You should definitely check out the pic at Tropical Traditions to see what they really should look like! Make sure you follow her recipe exactly (as in don't over mix the "dough" until it gets sticky like I did)! Guess what? 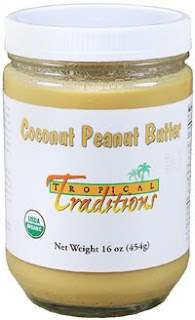 One of you will win your very own jar of the Tropical Traditions Organic Coconut Peanut Butter! I get to give one away! Woo Hoo! This giveaway will last through Friday 5/14 and winner will be announced on Saturday 5/15. I almost picked that as my next thing to give away. But instead I think I picked the coconut flour. So that will be my next giveaway. They have so many good things to try. That recipe looks yummy though. Big coconut oil is a good fat therefor we can eat more size hugs to you! LOL! I love their coconut oil. I would like to try their skin care products. All those smoothie recipes look delicious. This looks great, Lisa! And organic too... Love it. the no bake chocolate coconut energy bars look really good! 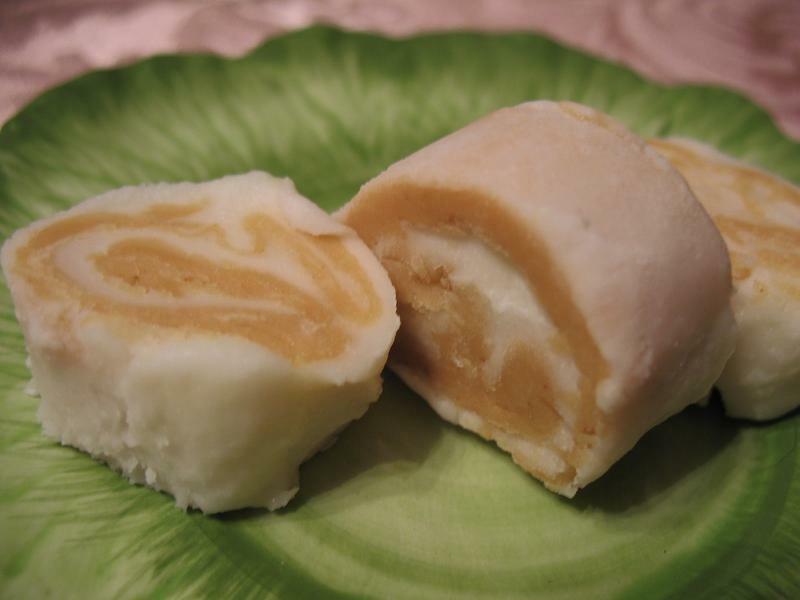 The No Bake Chcoolate Coconut Energy Bars look amazing - I am going to have to make them when my coconut oil comes!!! I'd love to try the organic soy-free eggs and the grass-fed beef. Fav recipe? I would think it would have to be the roast chicken. I never would've thought to do it with coconut oil. their coconut milk recipe sounds great! I would like to try the shredded coconut and the soy free eggs! I would like to try the Coconut Meringues! I would like to try the coconut chicken recipe. I would love the soy free eggs. I like the recipe for coconut meringues. I've tried a few of thier products and have like them all so far. I think Ill go with the virgin and the expelled coconut oil. The Coconut Cream Cookies are pretty good, a little sweet, but good. The TT coconut oil is the most interesting, but I also would like to try their raw honey, Palm oil, and massage oils. I signed up for the TT newsletter. I love the banana orange smoothie recipe. I drink smoothies every day practically as an easy-to-carry-to-work lunch, so having many good recipes is a must! The coconut vinegar is something I'd really like to try out! I love Dutch Baby, and I'd really like to try their recipe for it, made with coconut flour. I would love to try their coconut oil. I have heard so many good things about coconut oil. The coconut Peanut Butter sounds really yummy, though! The Gluten Free Coconut Brownies recipe sounds yummy! i want to try the organic dark chocolate and all that peanut butter! I love taste of peanut butter and coconut but would love to try a combination of both..!! !